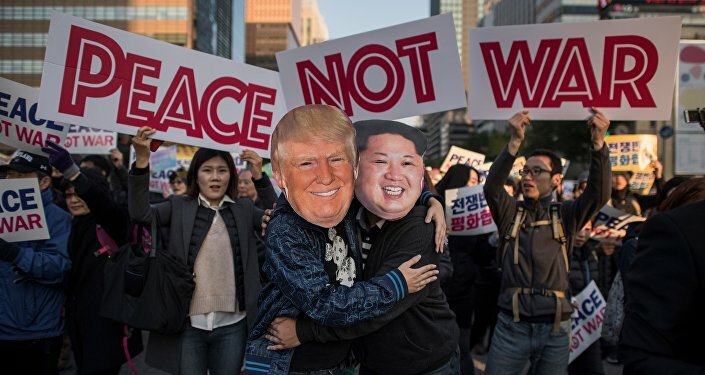 WASHINGTON (Sputnik) - The United States and South Korea will resume joint military drills on April 1, North Korea has already been informed about these plans, the US Department of Defense said in a statement. "Secretary of Defense James N. Mattis and the Republic of Korea Minister of National Defense Song Young-moo have agreed to resume the annual combined exercises including Foal Eagle and Key Resolve which were deconflicted with the schedule of the Olympic Games. The exercises are expected to resume April 1, 2018, at a scale similar to that of the previous years," the statement said on late Monday. The US Department of Defense pointed out that the United Nations Command had already notified the Korean People's Army "on the schedule as well as the defensive nature of the annual exercises." "In accordance with the previous practices, the Neutral Nations Supervisory Commission will observe the exercises to confirm their compliance with the armistice agreement," the statement added. Earlier, a senior US administration official reported that the United States and its allies would continue conducting routine defensive exercises near the Korean peninsula after the 2018 Winter Olympics.